When will I get my order? 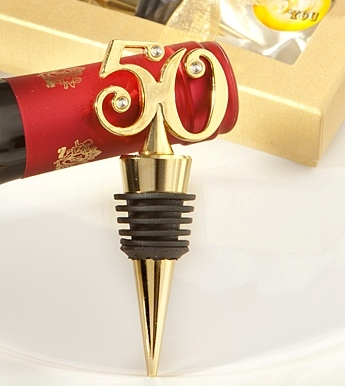 : Orders are processed in 5 business days. Then refer to this map (Click here for map) to calculate the additional shipping time. Your favors ship from NY. 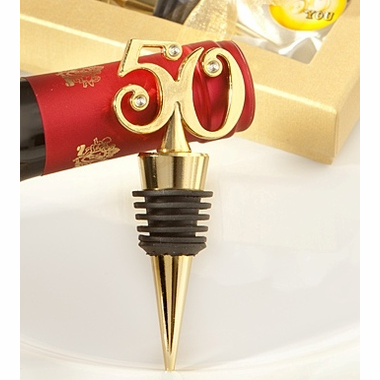 Add these 50th anniversary favors wine bottle stoppers to your celebration and guest will be delighted. 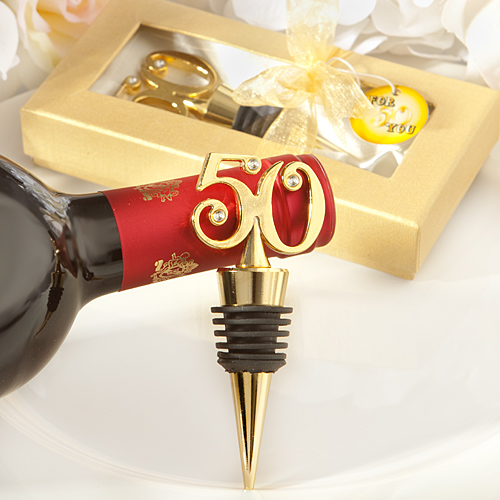 A welcome addition to the traditional 50th anniversary supplies, they add to your table decorations and provide those who attend the party a take-home give-away. * Each measures 3.5? x 1.5?